i wanted the flying cloud mount, so i get all the achievements to get exalted with the lorewalkers, i saw many guides and managed to find all the scrolls and even some "optional achievements" (the three golden statues and the balance thing) however besides this optional achievements i'm not getting any rep, and neither the scrolls lorewalker cho is supposed to send to my mail, i checked the achievements tab and it says i finished them, and have a green mark in all the scrolls listed there, so i don't know what am i doing wrong or what should i do. You have implemented npc Veridis Fallon, but how to get the exalted ranking if you have no quests or possibilities of obtaining such reputation? 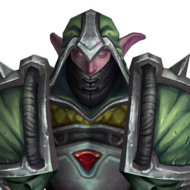 Which dungeons in Sylvanas are good for gaining reputation? 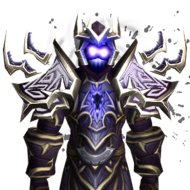 Both dungeons which automatically give rep for a certain faction AND dungeons that will give reputation for whichever tabard you have equipped. Please give me examples of both. Hello Anybody who knows how to farm shado-pan rep? Hi Guys! Is there anyway on gaining reputation for the Operation Shieldwall faction in Krasarang Wilds? I tried to do the quest line and it just ends up being bugged, i can't even talk to most of the NPC's that are in the beach.